Midamar is exhibiting at Food and Hotel Asia now on at the Singapore Expo Center until April 11, 2014. This year, Midamar will be showcasing its new premium Halal Turkey Deli Meats at the Midamar USA Pavilion Booth 7B4-01. Midamar’s Halal brand offers consumers over 200 premium quality food products. The Midamar brand has had a presence in Southeast Asia for 40 years. Most recently the company has launched its premium halal turkey line in the region. In addition it has re-launched the premier halal choice USA beef brand, BSI in the region. The Midamar Turkey Deli Line is part of the new line-up of healthy, sustainable, convenient and delicious food products available in Southeast Asia. 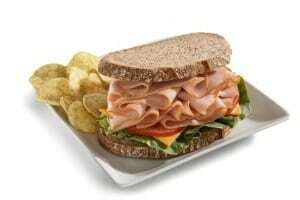 The Halal Garlic and Herb Turkey Deli Meat won the 2013 Gulfood Award for Best New Frozen and Chilled Food. This year Midamar will be featuring its full line of Chunk Turkey Deli Meats. The line includes the award winning Garlic and Herb, Black Forest, Hickory Smoked, and Golden Browned Halal Turkey Breast. These Chunk Turkey Breasts are now in Deli Counters in major supermarkets in the USA. They are also being served in Delis, Diners, Fine Restaurants, Colleges and other institutions in America. The whole turkey breasts are lightly seasoned and cooked to perfection. There are no fillers or additives. The result is a delicious, tender, flavorful Halal deli meat that restaurants and deli counters are proud to serve to customers.